Since 2013, Pact has worked in Colombia to help the country overcome the effects of decades of armed conflict. Pact focuses on rural and vulnerable communities, building the capacity of Colombian citizens, especially groups that historically have been excluded, to raise their voices and gain the skills and resources needed to thrive and be prosperous. 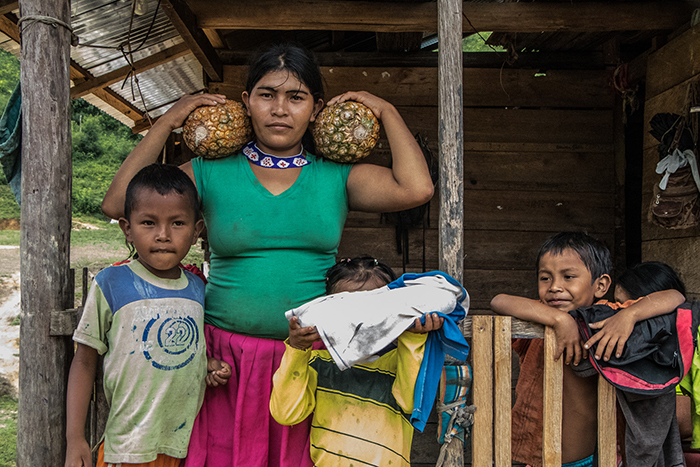 Pact's work in Colombia spans capacity development, livelihoods, governance and natural resource management. With funding from the U.S. Department of Labor and USAID, and in partnership with local organizations, Pact leads three projects, in the Antioquia, Boyacá, Bolívar and Amazon regions. Our Somos Tesoro, or "We are Treasure," project is Colombia's leading initiative to reduce child labor in artisanal and small-scale mining communities. In addition to addressing health and safety issues in mining, Somos Tesoro is working to overcome the many factors that lead to child labor, including economic instability, challenges in implementing public policies favoring child protection, and a lack of quality education in rural mining areas. Our Pilares project is developing the capacity of civil society organizations in artisanal and small-scale mining communities, strengthening their engagement in labor issues, specifically in improving working conditions and reducing child labor. Pact is also supporting indigenous people's organizations to increase their influence in the governance of the Amazon region, with the goal of protecting indigenous people's rights and the environment in the Amazon rainforest of Colombia, Peru, Brazil, Suriname and Guyana. More than 5,000 children work in mining in Colombia. With our local partners, Pact is combating child labor in mining.